CMS Buffet is the Toronto SEO company of choice for CMS Health and Beauty. We have constructed, written copy for and optimized web sites for many small to mid-sized companies. Our expertise and dedication has helped many businesses launch an Internet presence, or update and improve their existing web sites. We specialize in improving your search engine rankings so more people will be able to locate your products or services. In today's competitive economy, it is essential to have a strong online presence to give you an edge over your competitors. Our SEO services are specifically tailored for the small to mid-size business owner. We understand your needs better than the larger IT companies, and we can offer more personalized service. Our goal is to increase your visibility without all the tricks the big guys use. We're the Toronto SEO consultants that understand how CMS Health and Beauty work. Take a look at some of the web sites we've worked on. Then, give us a call at 647.477.2992, and tell us what we can do for you. A.G.E. Matters Clinic is a memory and aging clinic dedicated to treating age-related memory disorders, dementia and Alzheimer's disease in the elderly population. A.G.E. 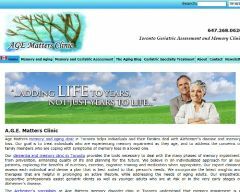 Matters' memory clinic utilizes a comprehensive geriatric assessment, evaluation and diagnosis of cognition, function and behavior and offers treatment and counseling to improve an individual's cognition,memory abilities and overall brain health. A.G.E Matters Clinic uses the CMS Buffet platform to completely manage the web site and we help the client with Search Engine Optimization . The Breast Celution is a virtually scarless procedure. The Breast Celution procedure accomplishes breast enlargement by injecting a supercharged fat mixture into the patient's breast. Breast Celution uses the CMS Buffet platform to completely manage the web site and we help the client with Search Engine Optimization . 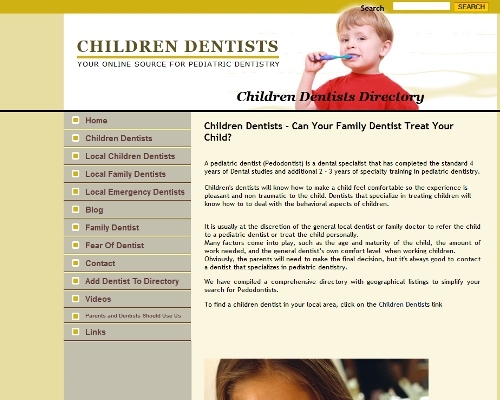 Children Dentists is an online children dentist directory aimed at helping patients find the most suitable pediatric dentist for their child.Children Dentists utilizes CMS Buffet to independently manage and update their website. Children Dentists uses the CMS Buffet platform to completely manage the web site and we help the client with Search Engine Optimization . Canadian Friends of Meir Medical Center & Meir Hospital Israel. 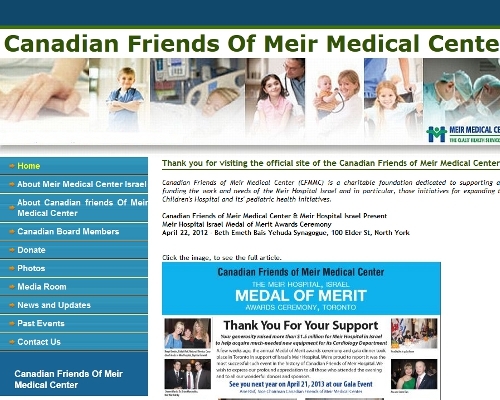 Canadian Friends of Meir Medical Center uses the CMS Buffet platform to completely manage the web site. The Dental Hygienist Toronto uses the CMS Buffet System to completely manage the web site. 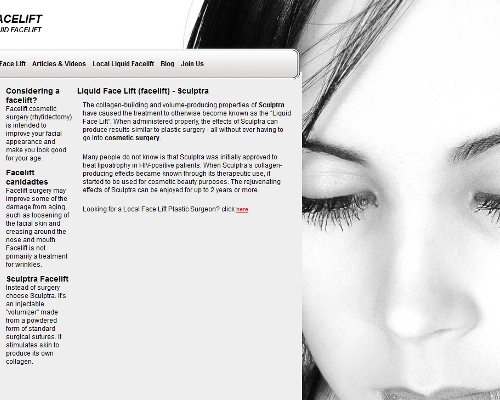 Liquid Face Lift is an online directory that focuses on Sculptra, also known as Liquid Face Lift. 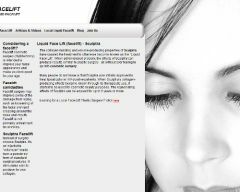 Liquid Face Lift uses the CMS Buffet platform to completely manage the web site and we help the client with Search Engine Optimization.